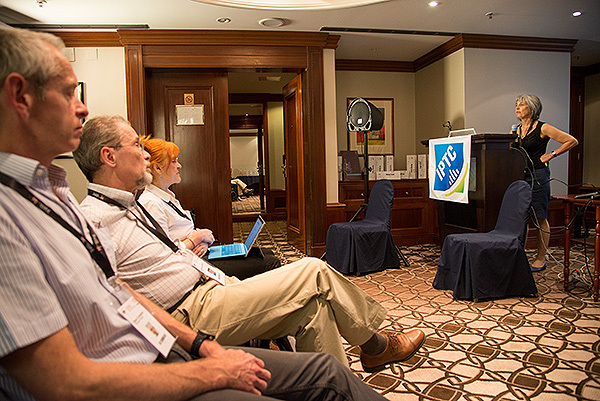 Participants in this year’s IPTC Conference got to hear about the application of the IPTC metadata standard in Africa. The International Press and Telecommunications Council (IPTC) is the governing body of the World’s most widely used metadata standard because it was developed for the publishing industry around the World and has been incorporated by the likes of Adobe, Microsoft, Apple, Canon, Nikon, Hasselblad and Phase One into their systems. More recently the IPTC has been working on fields that are specific to the heritage sector and published the IPTC Extended standard which has been further updated recently. 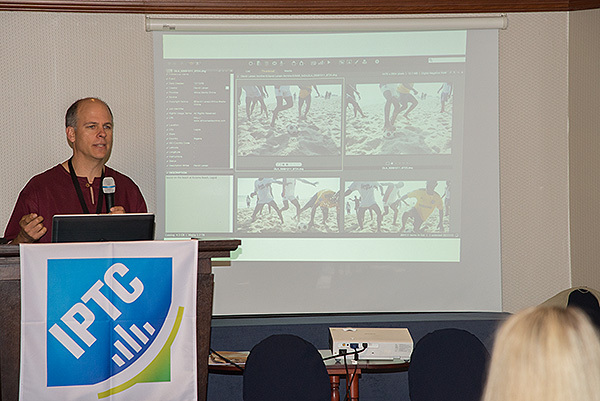 Africa Media Online’s Managing Director, David Larsen, addressing the 2016 IPTC Conference on the use of the IPTC metadata schema in Africa. The International Press and Telecommunications council sets standards for industry wide metadata schemata particularly for the news and media industries, but increasingly, for the heritage sector too. I had the privilege of sharing with the conference how we go about using the IPTC standard in Africa Media Online given that we are working with photographers, media organisations and heritage institutions in different parts of Africa and how we have needed to create systems, based on the standard, that allowed for flexible ways of inputting metadata, from using a spreadsheet that can be ingested into our digital asset management system separately to the images and then marrying the two within the system, to extracting metadata that is embedded in the images by photographers submitting work, to the ability to enrich metadata once the images are in the system. I also got to briefly showcase a new metadata capture back-end to our MEMAT digital asset management system that will allow not just the capture of IPTC and IPTC Extended, but also other metadata schema such as Dublin Core and Darwin Core. Sarah Saunders presenting at the 2016 IPTC Conference. Sarah is a good friend of Africa Media Online and has taught on our Heritage Digital Campus on two occasions. At the conference she presented a new IPTC metadata panel that includes the newly updated IPTC Extension metadata fields relevant for the heritage sector. Listening to her are Dave Compton, Senior Technologist at Reuters, Michael Steidl, CEO of the IPTC and Abbie Enock, CEO of Capture. An exciting development that was announced at the conference is that the IPTC is about to launch its first version of a metadata standard for video. They are not calling it a standard. Rather it is an organizer of other existing standards potentially uniting what up to now has been a fairly disparate field. They are set to launch this in a month or two along with a new metadata plugin for Adobe Photoshop Bridge that allows one to use all of the new IPTC Extended fields. This development has been overseen by a good friend of Africa Media Online, Sarah Saunders. Sarah has been an occasional trainer on our Heritage Digital Campus.